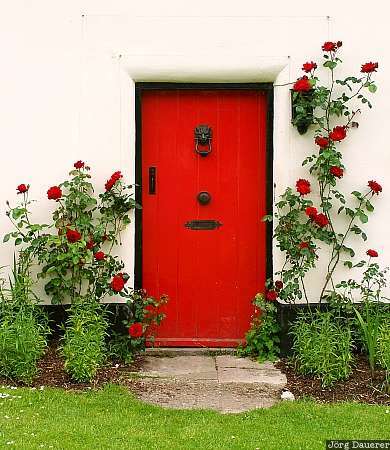 Red door of a cottage in Milton Abbas surrounded by flowering roses. Milton Abbas is in Dorset in southern England, United Kingdom. This photo was taken at noon on a sunny day in June 2003. This photo is part of the exhibition The color Red (June 2006). This photo was taken with a digital camera.